Our mission is to ensure that your dogs have a great day, while also being engaged. Safety and appropriate play is our number one priority and focus. Daycare guests are matched with compatible play partners and receive constant supervision. Our open fields promise loads of fun, socialization, and plenty to explore. 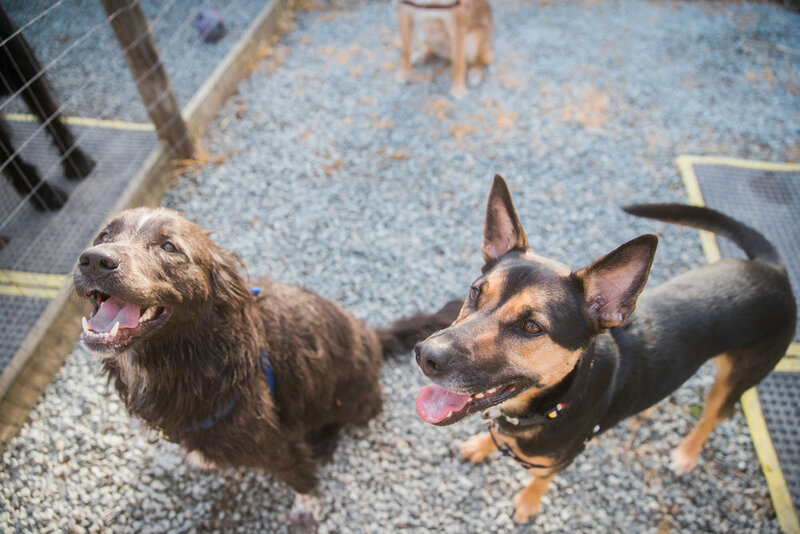 We choose our daycare dogs carefully to ensure an environment that will be fun, help develop healthy social skills and of course provide much needed exercise. You’re welcome to bring along meals/snacks and we can administer any medications if necessary. Come play with us! Mental stimulation is an important factor in our canine’s wellbeing. We provide that with activities such as brain games, kong stuffing and puzzles.